If you have a balance due for the costume, or your account, it is payable before the costume is released to the dancer. Costumes are released to dancers once who have the proper dress code shoes and the above. Only dancers with dress code shoes will be allowed participation in the shows. If your child intends to perform in the shows, he/she may wear their non-dress code shoes only until April 23, 2019. If you do not wish to purchase dress code shoes for the shows we kindly ask that you let us know before November 2, 2018, so that we do not finalize the costume order for your child. There are no costume refunds for any reason once costumes are ordered. If you decide not to buy dress code shoes by April 23, 2019, we cannot refund your costume deposit. PDA will not release costumes to dancers who do not have the PDA dress code shoes and you forfeit performing in the shows. Your costume may then be picked up after June 10 , 2019 if your account is in good standing. Any and all alterations are the sole responsibility of the dancer. Taking your new costume home! Try it on as soon as possible with tights only. If too large, please wait until close to the show to make your alterations. Take it out of the plastic bag and hang it up right away. Never use it to play in! Keep it new for Photo Day and the shows. Safety pin any loose straps – easy sewing instructions will be given at the Dress Rehearsal. Oops - weight gain or growth! The costume is too tight! We can give you the number of a costume seamstress you can hire if you don't want to do the adjustments yourself. Ordering a costume for the show? November 2nd, 2018 (Tuition Installment #2) is the final day to request PDA to not place an order for your child. A costume will automatically be ordered for your child unless we hear from you by November 2. We only order from highly reputable, long-established costume companies: Kelle, Weissmans, Cicci, Curtain Call, Revolution, Costume Gallery, A Wish Come True, Hamilton's Theatrical, Jazzmatazz, etc. 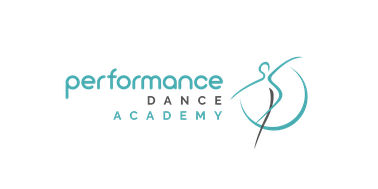 Costume deposits are not rental fees - PDA dancers get to keep their costumes! Late Orders: please add $30 per costume order as they will be processed separately and will incur additional customs and shipping and handling charges. Costumes are not custom-fit - they are general sizes only and they do not come hemmed. Once an order has been placed there are no refunds for costumes. We look forward to hearing from you, please contact us for any questions or inquiries.